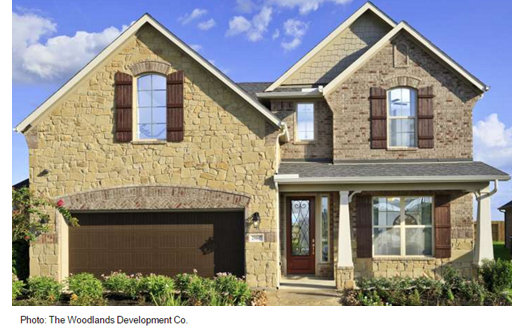 ​ ​THE WOODLANDS – Three builders have unveiled new home plans being offered in the 400-acre May Valley area of the Village of Sterling Ridge, The Woodlands Development Co. announced. ​Beazer Homes are building two-story attached town homes ranging from 1,877 to 2,180 sf and prices there starting at $250,000. Chesmar Homes are building homes ranging from 1,586–2,649 sf and prices starting at $260,000. Westin Homes, offering ten homes ranging from 2,916–4,043 sf and priced from $370,000.